How do we bridge the digital divide in classrooms? As of last year there were still 5 million U.S. households with school-aged children with no access to the Internet, and the skills gap for these kids when they enter the workforce is going to be far more severe than it will be for the kids who do have access at home. Fortunately most of the school aged children in America do have Internet and computer access, which they can leverage to become a top-notch 21st century workforce. In the classroom computers and the Internet are nothing new, but edtech is making things possible that were never possible before. 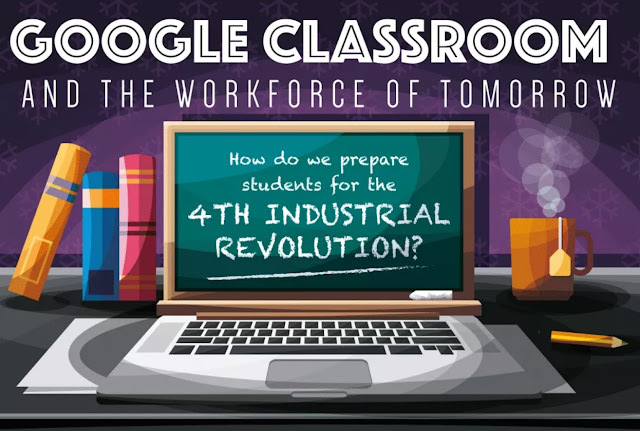 Today using apps like Google Classroom is a great way to teach students the kinds of skills they will need to succeed after the next industrial revolution, when artificial intelligence takes away menial data entry and other positions. Google Classroom is free for schools to implement, making it a great option even for cash-strapped districts. It helps students to work at their own pace and teachers to manage curriculum. Most importantly it introduces students to the skills they will need in the workplace - everything from collaborative tools similar to Slack and Google Docs, Sheets, and Slides which are used in most workplaces. There are some downsides to Google Classroom, including that it is centered on Google apps and programs only. Learn more about the pros and cons of using Google Classroom to train students for the 21st century workforce from this infographic!